For most municipalities, every piece of maintenance equipment needs to demonstrate a high return on investment. That's particularly true in the city of Bastrop, Texas, located just outside Austin with about 8,500 residents. Plenty of creeks running through the city to the Colorado River make debris and vegetation clearing a continual drainage challenge. Specifically, Gill's Branch is a critical waterway that snakes through Bastrop and must remain clear as it runs through commercial, residential and public properties. Finding a backhoe to be too slow in clearing ditches, the city decided to purchase its first Gradall, a Discovery Series four-wheel-drive model, the D154. 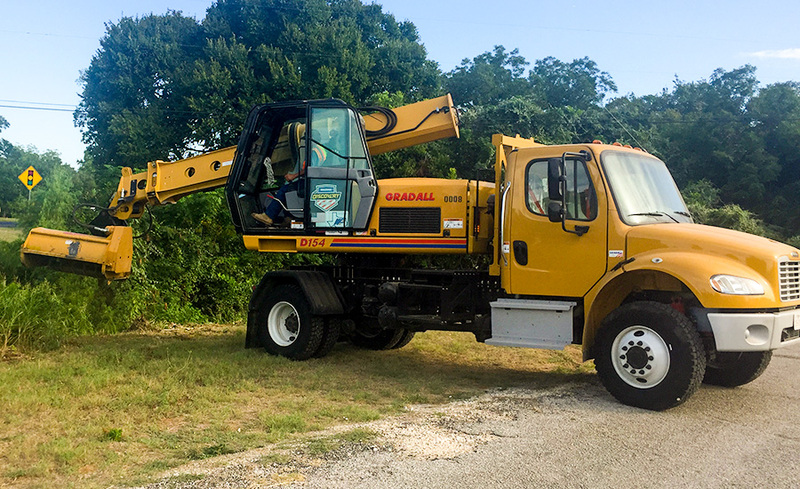 Designed for municipal work and priced right even for smaller cities, the new Gradall model proved to be capable of quickly handling many different jobs. 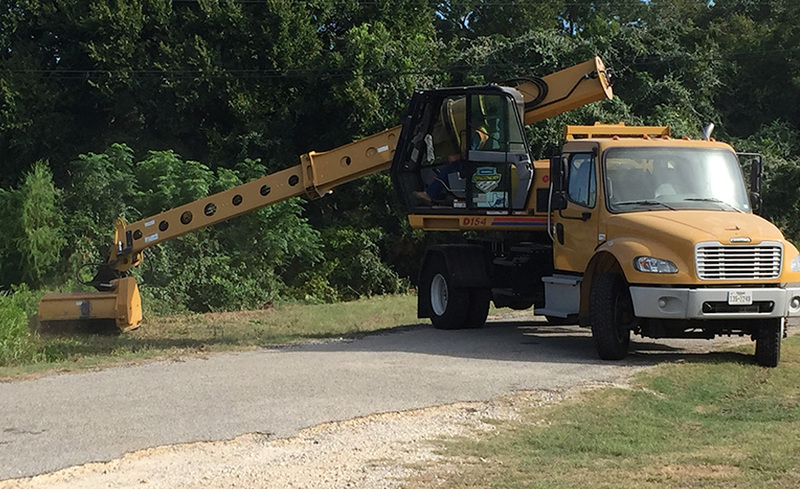 "It was a good buy for the city, very versatile," said David Juarez, superintendent of public works. 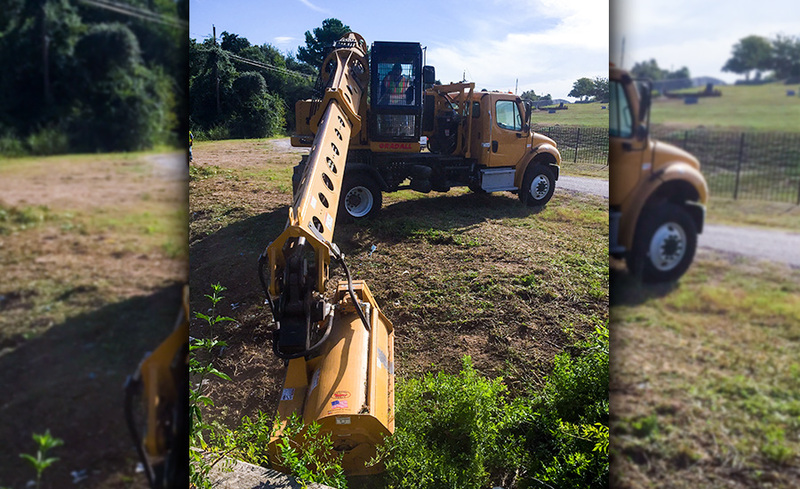 A key initial task for the excavator was to clear heavy vegetation along several creeks, using a flail mower. 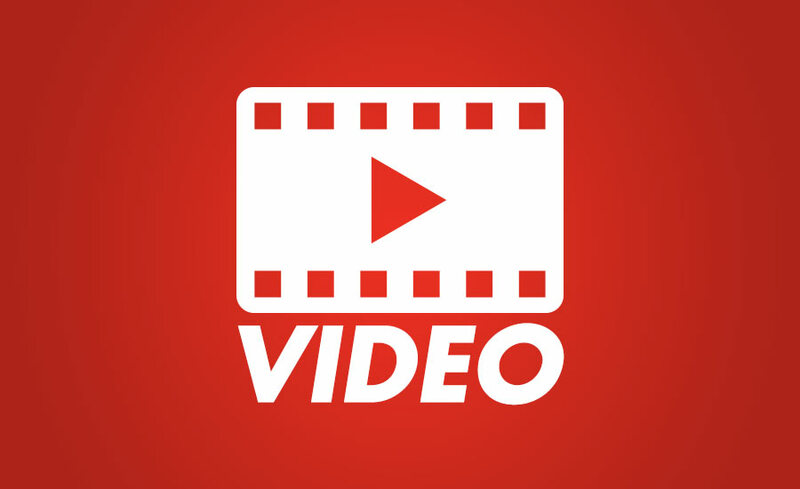 Over the next year, he said the city has been planning to launch a major drainage upgrade initiative, using the D154 and its 60-inch ditching bucket to replace culverts and clear trees, debris and trash from ditches and streams. The boom tilt is especially good to position the mower to clear the vegetation efficiently, noted Juarez. 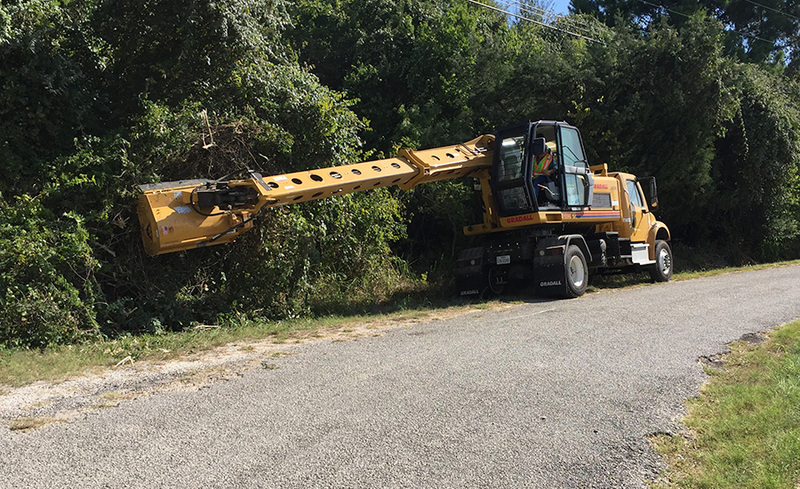 The entire boom tilts 220 degrees, so an operator can easily maneuver a mower attachment into place around trees and along the edges of streams. 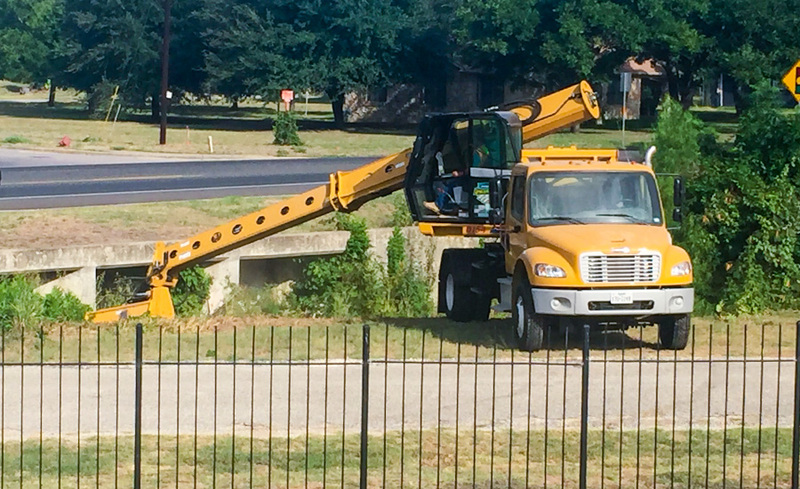 "The machine runs and operates well," he said, adding that the Freightliner undercarriage is easy to drive from one work site to another, and then back to the equipment yard at the end of the day.